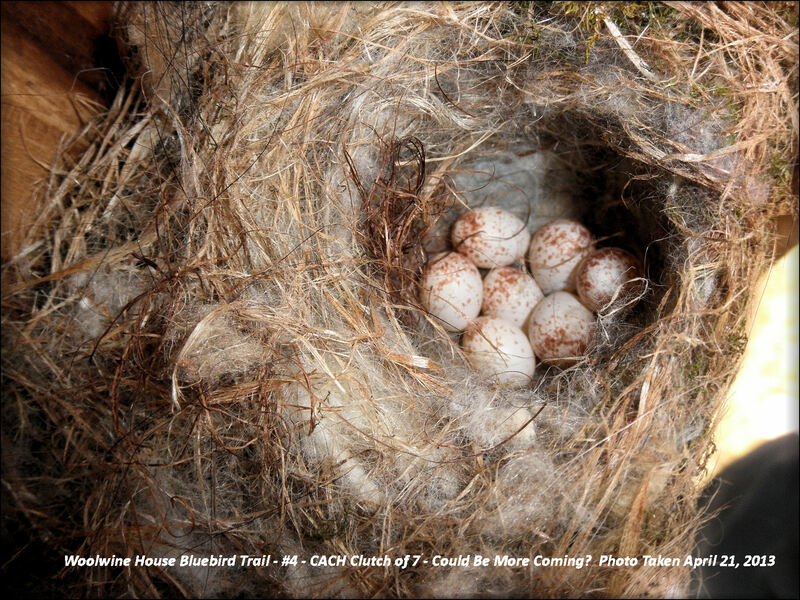 ← “MY EGGS AND I.” … MRS. BLUEBIRD PROTECTS HER CLUTCH. THOSE CAROLINA CHICKADEES ON THE BLUEBIRD TRAIL! This native species is very shy and stealth and sensitive to intruders. However, check out how one female CACH laid all her eggs in the cup and left them wide open with no “blanket” over them and the other buries them under the hair and fur blanket to hide them from potential predators. Even this picture I took is a result of my finger very carefully pulling back the hairs so I could count the eggs. I put the hairs back over them the way she left them after I took this photo and quickly secured and left the area of the nestbox. 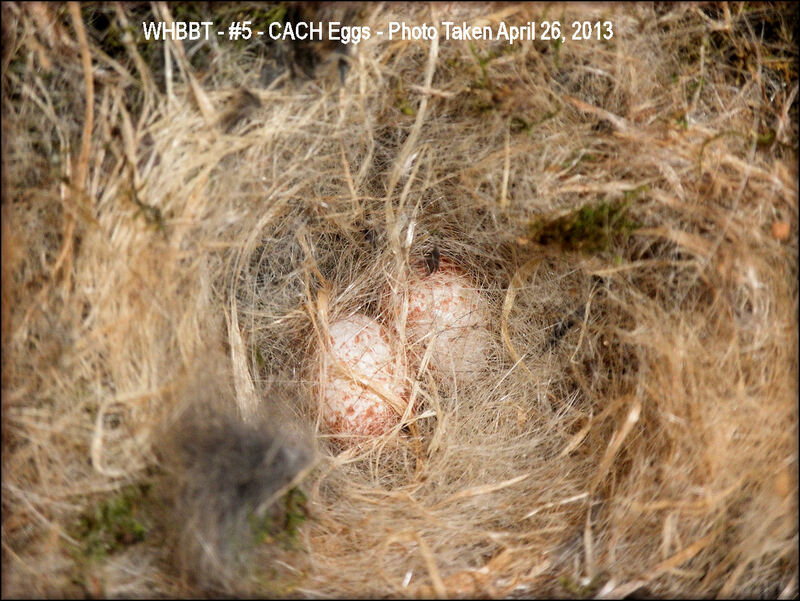 This female CACH is very careful to cover her eggs. There was more fur over them than you see in this photo. This is from another nestbox taken April 26, 2013. When I opened the box, I could barely see the eggs.